One of the quickest tells for what a developer intended with a game, even if it doesn’t quite succeed at that intention, is if the game pays homage to Shakespeare on a meaningful level. If you’re dropping names from his plays, repeating famous quotes verbatim, and structuring your game’s narrative after his vision, chances are you’re aiming for some pretty lofty narrative goals with your own work. Related reading: Matt's review of Valkyria Chronicles. This is the position that we see Valkyria Revolution in. It’s not subtle about its homages to Shakespeare. The lead character, Amleth, sounds exactly like “Hamlet” when pronounced with a Japanese accent. The game’s “heroes” (on to that later) hail from Elsinore, which is, to those who haven’t read Hamlet, where the “hero” (I’ll write you an essay another day) hailed from in the play after his name. Oh, and the princess of Revolution's Elsinore is Ophelia, and surely you don’t have to have even read Hamlet to know that one. Another character drops “the lady doth protest too much” in one line of dialogue, which is done in jest, but is, again, a line direct from Hamlet. A final direct reference to Shakespeare that I'll mention here is that the entire game kicks off not with the story of these characters, but at a point somewhere in the future, when a teacher and student are discussing the story of these "heroes", which we already know die as traitors (it’s not a spoiler. It’s revealed in the first two minutes of the game), and whether the historical records of their deeds are fair, or even accurate. Now the framing of a tragic story within a story is a narrative technique more commonly attributed to Romeo & Juliet, but a story that questions whether the motivations of the lead character is as they seem to be is vintage Hamlet. Hell, Shakespeare took ownership of the unreliable narrator technique with such utter precision in Hamlet no one’s done it better to this day. So you could argue that Valkyria Revolution isn’t inspired by Shakespeare if you like, but you’d be wrong. It’s explicitly so, and unlike a satire such as Ryan North’s To Be Or Not To Be, this one’s quite genuine about its Shakespearean homage, to the extent that you can almost imagine the developers doing their darndest to make the game play like it’s in iambic pentameter. Now, whether the game’s actually successful of this lofty ideal is another matter, but in the first instance I have to give full props to the development team for a very genuine attempt to elevate the storytelling of their game to that level of greatness. On a thematic level, I actually think the developers succeeded in coming up with something special. Valkyria Revolution is an aggressively anti-war war game, much as its predecessor was. 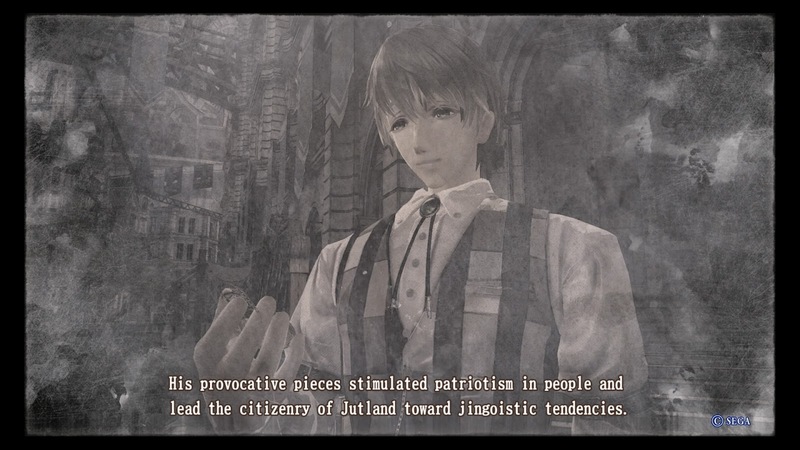 That predecessor, Valkyria Chronicles, chose to frame its anti-war message in highlighting the impact that war has on good, honest, normal people. It worked hard to make war about the impact on people, and then, by making you care about the people, realise that perhaps war isn’t as glamorous, heroic, or “patriotic” as certain games about being called to duty are from western developers. 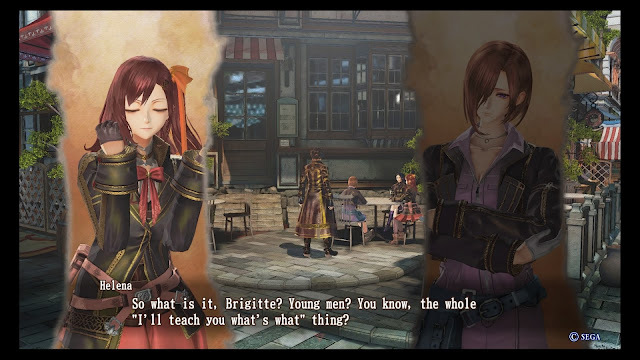 Valkyria Revolution tackles a somewhat more academic discussion point, which has its merits and flaws; this one looks at how war narratives are written, and later revised subsequent to the war. It’s a reality that history books (or films, games, or any other media) don’t accurately reflect what happened in a war. Even the most thoroughly researched book is likely to inflate the characteristics and merits of the side that won, and further villainize the side that lost. There’s also usually a minority of outlier researchers and historians that will swing the other way, either in a bid to restore balance to the way the war is being reflected, or out of a simple desire to play contrarian or devil’s advocate, but either way the “truth,” such as it is, becomes lost in the battle of the narratives, and over time this gets spun further and further to an impossible degree. It is this revisionism that Valkyria Revolution approaches, looking at the five “heroes” that we know are branded traitors, and how the histories portray them so much later after death. “I have questions about how they’re portrayed in the history,” the student tells the teacher, inviting us to then spend the rest of the game questioning every decision made by the traitors, and leaving the greater purpose of all their actions a substantial mystery until much later on through the game. And yet while they were traitors, they were also incredibly effective at rousing the people of Elsinore, and the nation that they hail from, into supporting the war. One of the traitors was a journalist, churning out the propaganda. Once was the head of the nation’s major industry, giving people jobs and a purpose in life in outfitting the war efforts. Another was the leader of the crack team of soldiers that were the superstars of the war efforts. And yet another was the politician, conspiring to keep the political opposition to the war at bay. On the one hand we’re viewing these characters through that revisionist lens that we’re told to; knowing that there’s something more to their actions. On the other hand, the profiles of these characters are quite explicitly symbolic of the very same political and social forces that keep the world perpetually at war today. So these characters do operate on two levels; narratively they’re fascinating examples of unreliable protagonists. Symbolically they’re “traitors” to mankind in the way that their respective roles in society are complicit with the destruction of it. You’ll never feel as close to the characters in this game as you did the homey, warm village heroes of Valkyria Chronicles, but if you pay enough attention to what’s really going on with the Valkyria Revolution’s narrative, then it’s pretty heavy thinking stuff. Academic, and perhaps even dry, but also important, and a view on war that needs to be explored far more often in all media than it is currently. 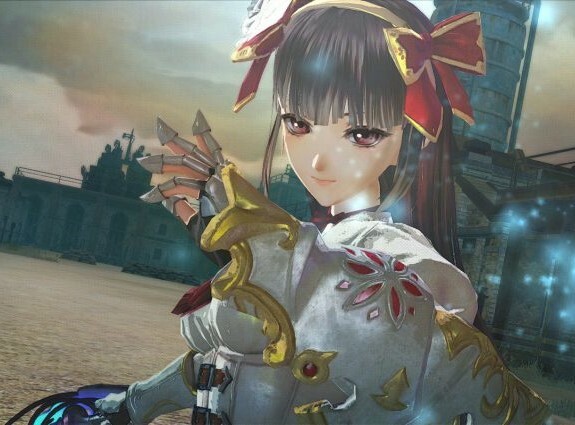 What will break Valkyria Revolution for a large number of players, I suspect, will be the substantial changes that have been made to the gameplay. Valkyria Chronicles was, effectively, a tactics JRPG. Characters would move around the battle map in turns, and while a covering system meant that it was actually possible to be attacked during your turn if you came in the range of an enemy, for the most part it was a game that felt more like Fire Emblem than, say, the Tales of series. Valkyria Revolution does away with that completely. Instead, what we have is a near pure action combat system, in which you control a single character and then have a small group fighting alongside him or her. You can pause the game to issue orders to the other characters, but thankfully their AI tends to be pretty competent, because the action moves at a snappy enough pace that it’s difficult to concentrate on much more than what’s right in front of you. Each character has access to a range of special abilities, as well as their standard attacks, and this all comes together to give us a system that is almost purely action JRPG, with the occasional duck behind a wall or sandbag barrier to recover some health. This combat system can be exciting and dynamic. Being set in an alternative World War 2-like era, everyone’s equipped with guns, and once the bullets start flying there’s a ballet of death going on that’s quite visceral. Charging down enemies with bullets whizzing past your character’s ears is tense and vivid stuff. Then there are the boss characters, who are difficult damage saps that have attack patterns that take some learning. Because all the characters in the party have different skills and specialties there’s some tactics involved in building the right team for the mission too, though disappointingly the game fails to brief you with enough information to know what the right team is on the first attempt. More than a few times I’d play a mission just to learn what I was really facing, and then I’d restart a save to take a “proper” crack at it with the right mix of characters for the role. Nonetheless I did enjoy the tactical side of team development, especially once I also started playing around with the equipment systems, which add yet more depth to the character customisation. What I can’t resolve is why the development team would apply a relatively simple action combat system to go with the ridiculously deep narrative. 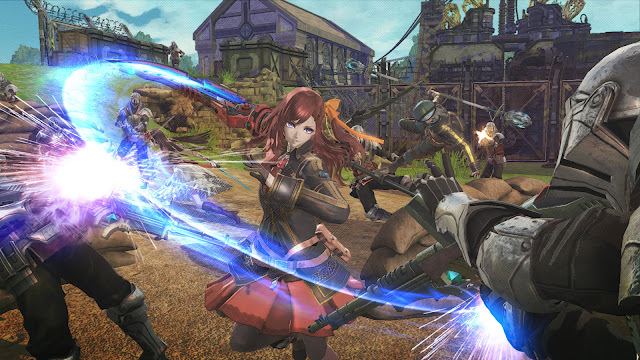 The two often feel at odds with one another, and this is Valkyria Revolution’s greatest failing; the gameplay and the narrative are so busy asking us to enjoy two completely different types of experiences that, when they’re smashed together into the one game, they come across as very confused and incohesive at times. 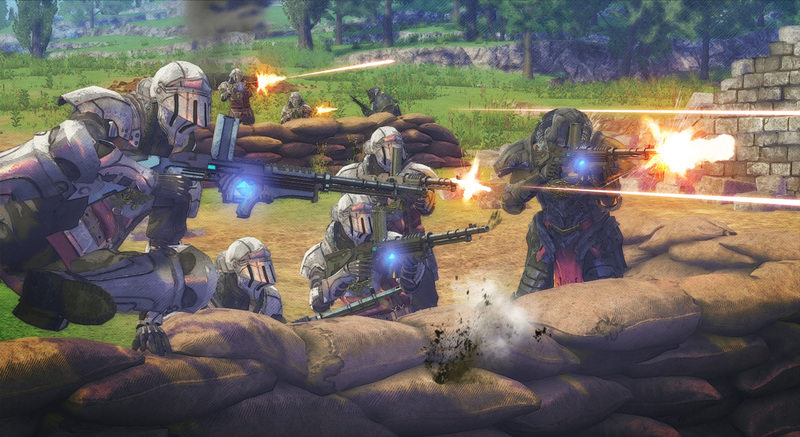 If any game’s narrative deserved the same deliberate, thoughtful gameplay as Valkyria Chronicles, it is its sequel. 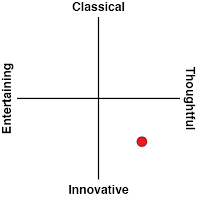 Related reading: Another game that takes an interesting relativist look at war is Fire Emblem Fates. 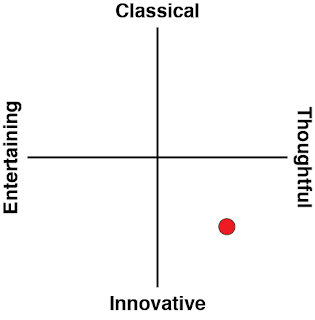 Matt's Game Theory, looking at that narrative theme. Despite that, I still think that Valkyria Revolution is an intense, special, and downright important game, with a powerful message to share not just about war itself, but also how we also talk about, and share stories about, war. This is especially poignant to the games industry, where developers have for the most part resigned themselves to creating endless clones of the same military stories. Stories that no longer even try and hide the fact they’re appealing to the same emotions and ideologies that Leni Riefenstahl was so effective at exploiting just a few decades ago.